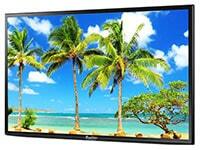 Why Buy an Outdoor Television? At Weatherproof Televisions, you'll find the best deals around on SunBriteTV, Peerless-AV, Séura, MirageVision, Sealoc, Samsung, GoVisionTV and Toshinaer waterproof outdoor televisions and accessories, guaranteed. To enhance your outdoor experience by providing great prices on high quality outdoor televisions and accessories - all with outstanding personalized customer service.